Say hello to our newest creative Chickapea Team member Kristy from @SheEats and wowza – what an amazing healthy quick recipe to share. Kale, Fresh Parmesan, Walnuts and lemon – all our favourites! Will you cook this for dinner? Pretty sure it’s on our menu tonight. When it comes to new experiences, I’m a total yay sayer. Throw your hat in the ring and go get ’em! Wanna go for a hike up that poorly marked back-country trail? Yes. Wanna spontaneously drive down to Nevada and get lost in the desert? Oh yes. There’s not a lot of things I won’t do in this life if given the opportunity. I want to experience it all. And I figure we only get so much time to do all the things before someone calls us home. And by home, I mean a land where the cheese never stands alone, carbs never off-load on my hips, and everyone around me looks like Chris Pratt. So, I figure, welcome to 2017 – let’s do all the things! That being said, there are things I’m resistant to. Things I avoid. Things that I stop, drop (my drink) and run from. …Okay, let’s be honest. I never drop my drink. Or run. But you get the idea. Like lying about my age. In fact, I’m proudly turning 36 again this October. Amazing, right? Or wait. For anything. Impatience is one of my many virtues. Or stealing fruit off a neighbour’s tree… Okay, I’ve totally done that. And I emphatically resist any kind of fad diet. Or diet, period. I believe we should move our bodies more than we watch TV so we can eat whole foods, as unprocessed as possible, and make time to sit down with a good glass of vino, good company and enjoy our meals. …You know, after we roll the pasta by hand, pick the herbs from our rooftop garden and milk the cows back in the pasture. Which I love doing, by the way. There’s something so nourishing about living off the land. Something real. Something fulfilling. Something whole. Unfortunately life doesn’t always play out like a scene from the 1800’s in pastoral England (wouldn’t that be the best?!). At least not in my 480 square feet of the world. I run a full time business, have a cookbook being released world-wide in just under a month, work as an actress, am writing a science-fiction novel, go to the gym 5 days a week and am attempting to read no less than 42 books this year. Oh yeah, and friends and family. Apparently I’m supposed to see them too. 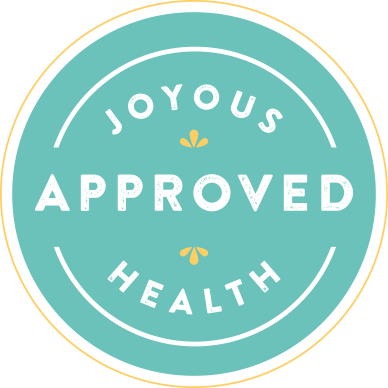 So when I get the chance to try a product that makes my life easier and faster – without sacrificing my principals about quality ingredients – I get pretty darn tootin’ excited. Let’s keep it real here: I love making pasta by hand and growing my own vegetables, but that just ain’t happening on a Monday night for me. What is happening on a Monday night though is Chickapea Pasta. A gluten-free pasta (you heard it here first folks, I’m eating gluten-free pasta and enjoying it) made from only 2 ingredients: Organic chickpeas and lentils. Bam. It’s also Non-GMO, vegan and kosher friendly, has no preservatives, nothing artificial, no added sugar and it tastes shockingly good. If you’re the kind of person who cares about nutritional facts, a single serving also has 27 grams of protein, 40% of our daily iron intake and 40% of our daily recommended fibre. Mouth-wise, it’s a touch chewier than wheat pasta, nutty in flavor, and I’m completely hooked. Which is why I’ve partnered with Chickapea and a group of pretty talented and delicious bloggers over the coming months to create delicious, seasonal, healthful recipes for you. And also so I can take in more calories from wine. That’s legit, right? If my body doesn’t try to kill me and I have any say in the matter, I’ll likely never be meat-free (again), dairy-free, fat-free (just ask my hips), sugar-free, or gluten-free. But I can still appreciate the healthiness and deliciousness of this pasta. No word of a lie – I’m keeping a few reserve boxes on hand in the cupboard for quick, healthy, delicious weeknight meals. I’m a firm believer in the place where everyone looks like Chris Pratt; I’ve seen it in my dreams! And I’m also a firm believer that when you’re cooking, the finished dish is entirely dependent on the yum factor of the whole ingredients you use. Because of that, most of my recipes on my blog take a bit of time to prepare. That ain’t the case with this one. This recipe for sautéed kale Chickapea penne with bright lemon, toasted walnuts & fresh grated parmesan cheese is ready in less than 20 minutes and has all the awe-inspiring health benefits I listed above. If you want to off-set those though, just enjoy the entire box of penne to yourself and have a glass of Chardonnay – that should even things out. Either way, it tastes fantastic and fresh. This recipe for sautéed kale Chickapea penne with bright lemon, toasted walnuts, and fresh grated parmesan cheese is ready in less than 20 minutes. Bring a large pot of salted water to a boil. Add the penne and cook until pasta is al dente, approx 5-7 minutes. Drain and set aside. As the pasta cooks, pour olive oil into a large frying pan over medium heat. When hot but not smoking, toss in the garlic and anchovy. Sauté until the anchovy disintegrates and the garlic smells yummy, about 3 minutes. Toss in the kale, season well with salt and pepper and mix well. Cook until tender, about 6 minutes. Throw the drained and cooked pasta into the pan and top with lemon juice and zest. Stir to coat and warm through. Once everything is well combined, mix in the parmesan cheese, dried chili flakes and walnuts. Chow down! Chickapea Pasta tends to froth more starches than wheat pasta so you may want to turn down the water a degree or two once it boils and cook it in plenty of salted water. I love this savory recipe. It has crunch, colour, and a fabulous earthy flavour. Beautiful! This sounds delicious and I love that it’s a vegetarian option. I’m gluten-free and I absolutely love this pasta. I think it is far and above the best gluten-free pasta I’ve ever had. Kale, walnuts, parmesan, lentils…what’s not to love?